London's buses don't always stay neatly within the lines. The furthest goes as far as Dorking, while others spill over into the counties of Kent, Essex and other surrounds. 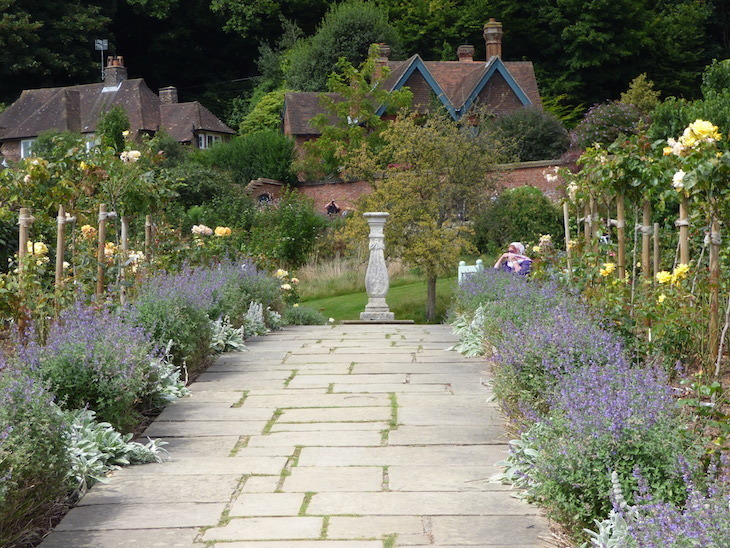 One takes you to the front door of Winston Churchill's former country residence. Chartwell is the final stop on TfL's 246 route, which begins in Bromley running through Hayes and Biggin Hill before crossing the M25 and pootling into the Kent village of Westerham. 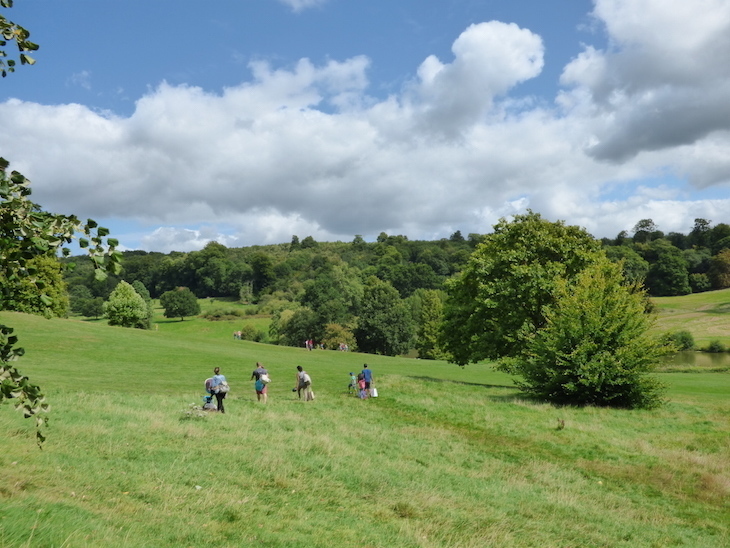 The bus only runs all the way out to Chartwell on Sundays in the summer, and even then, with a regularity more like that of a country village than central London. 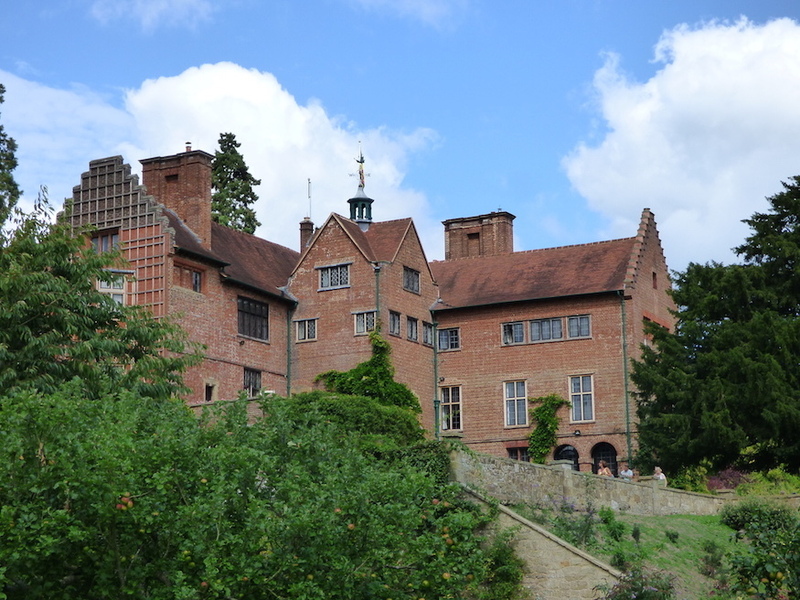 These days, Chartwell's owned by the National Trust, and open to anyone who cares to visit. Once you've paid your entry fee, follow a winding, tree-lined path as the gargantuan grounds gradually reveal themselves. Walkers can just about be seen on the hill on the other side of the hill, barely visible to the naked eye yet still within Chartwell's territory. A lake lines the bottom of the valley, a pimple of an island perched on its face. The bridge teases visitors into walking out to the island, but a gate prevents them stepping foot onto it, reminding us that for all its tearooms and walking routes, this fantastic corner of Kent was once — not so long ago — a private family home, with parts of it still off limits today. A smaller, rounder lake perches halfway up the hill. 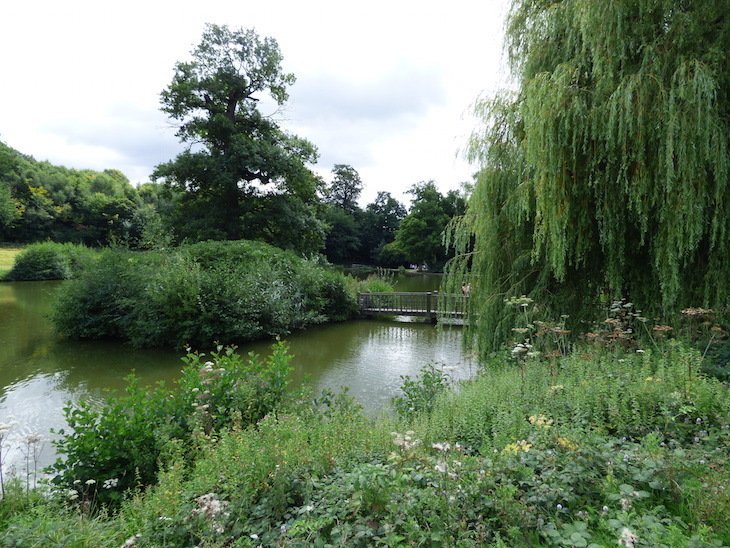 It was formerly the Churchill family's own swimming pool, but ducks and swans have free reign of it these days, and they're not the only wildlife around. Squirrels reign the treetop canopy, and we encounter a snake slithering through the bushes framing the croquet lawn. Oh yes, there's a croquet lawn. At this point, you might begin to feel like you've not only stepped out of London, but also stepped back in time. 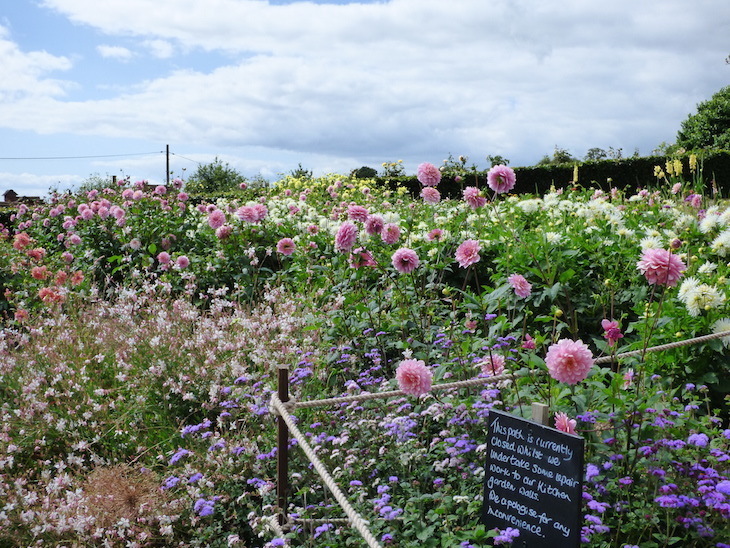 If you're visiting in late spring or summer, the walled kitchen garden does nothing to quell this feeling. Wildflowers grow freely, while other plants are all lined up in order. More vegetables than you care to imagine grow all year round, while a cottage perched further up the hill stands watch over it all. Oh, and there are chickens, roaming in a sizeable run known as 'Cluckingham Palace'. 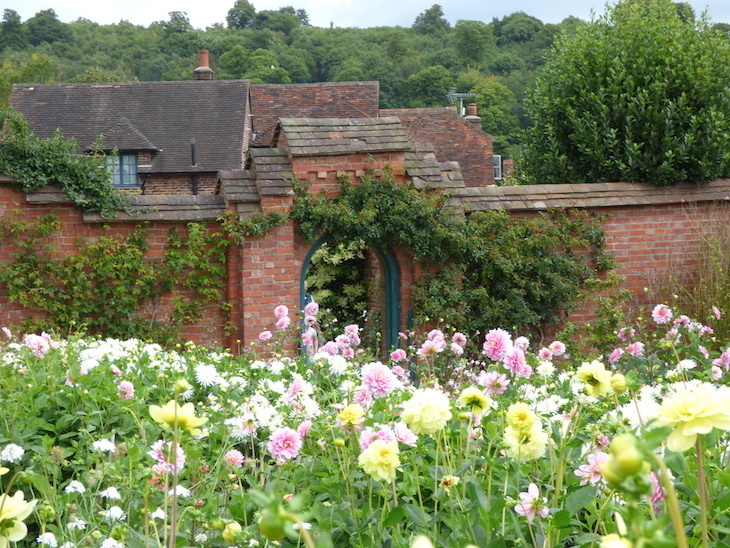 If you're lucky, you might wander through that brick archway and have the garden to yourselves. Otherwise, you'll find people congregating in the middle, the sundial and benches offering a centre point to all the greenery. And if you're really, really not convinced that you've left London, head to the perimeter wall where you'll find a cart with plants and produce for sale, with payment to be made in the form of the honesty box. You don't get that in zone 1. 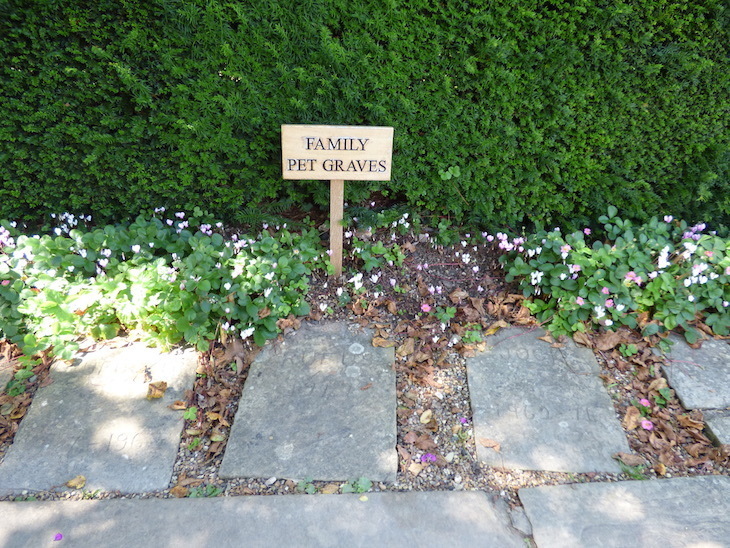 You might even spot Jock, a cat whose continued presence at Chartwell was decreed by Churchill himself, yet again reminding us that this tourist attraction of today is laden with recent history. Deckchairs are laid out on the lawn for those who want to enjoy the view — and goodness, does this place have views. 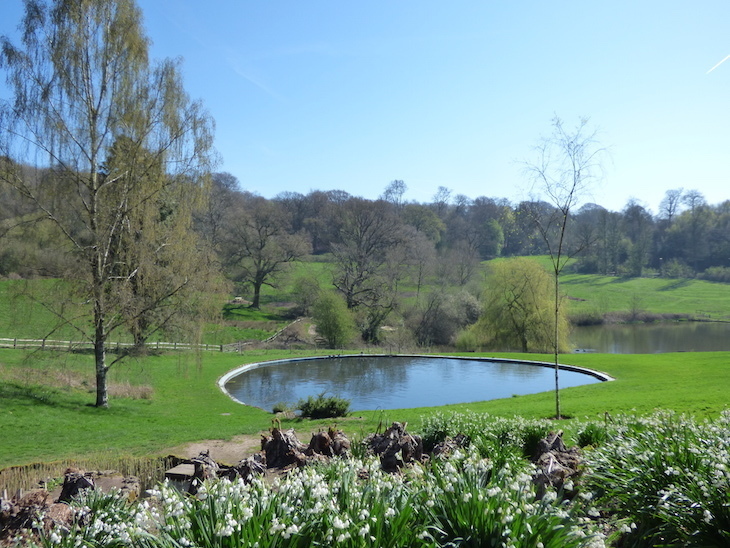 For all the history and beautiful gardens, the view is definitely the highlight of Chartwell. 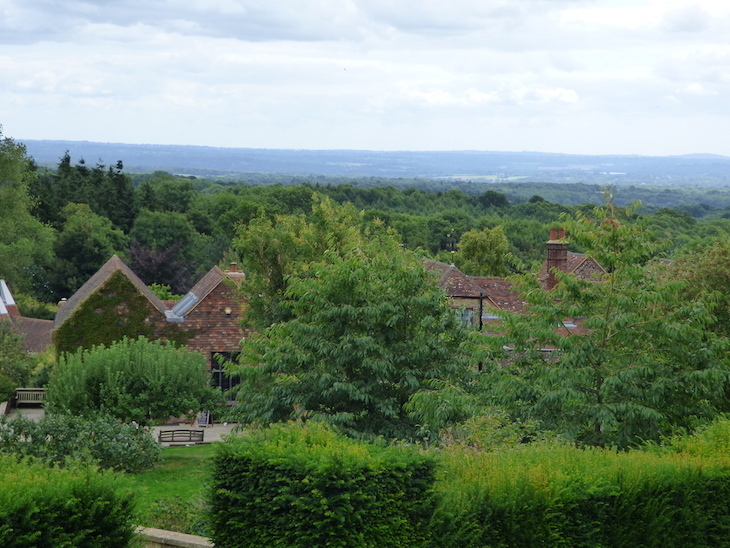 The house sits around 650ft above sea level, so much of Kent is stretched out at its feet. 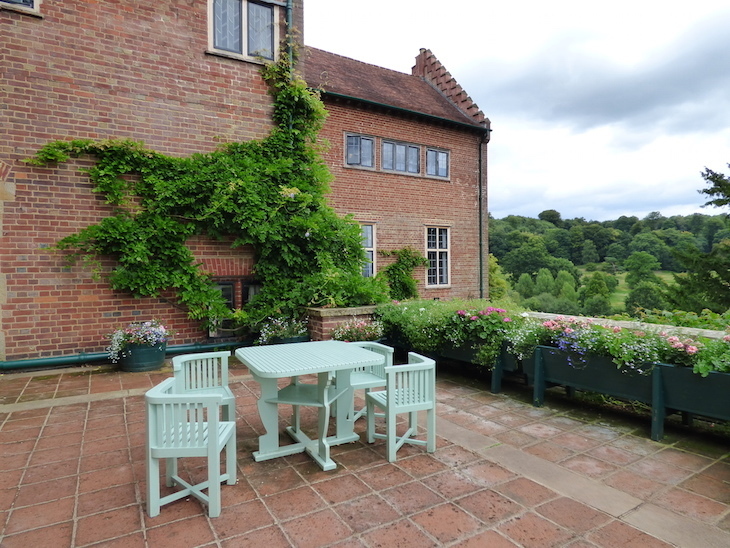 For the best views, wander through that gorgeous kitchen garden down to the Marycot, a brick play cottage named after Churchill's youngest daughter. 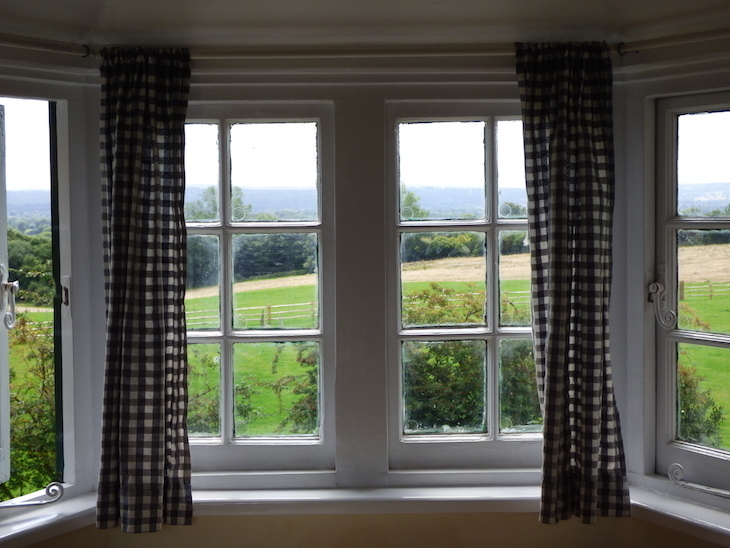 While kids bang around with toy pots and pans, head straight to the window which looks out beyond Chartwell's borders, across next door's fields, and way, way into the distance on a clear day. And all that's before you get into the house itself. The neat, redbrick construction has been extended from its original shape. Part home, part museum, it's a chance to walk through rooms left as they were when the Churchills lived here, including their bedroom and the kitchen, decorated as they were in the 1930s. 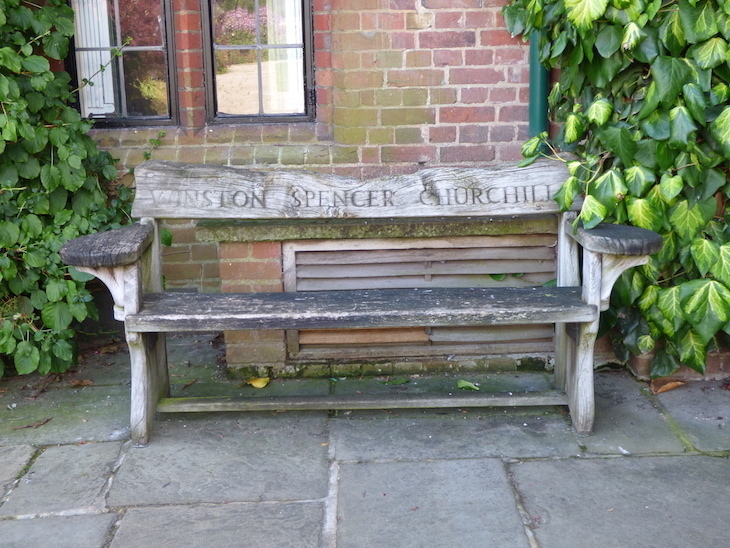 Churchill's desk, where he wrote many of his speeches, still sits in the house, and there are plenty more nods to him and his family, both inside and out. 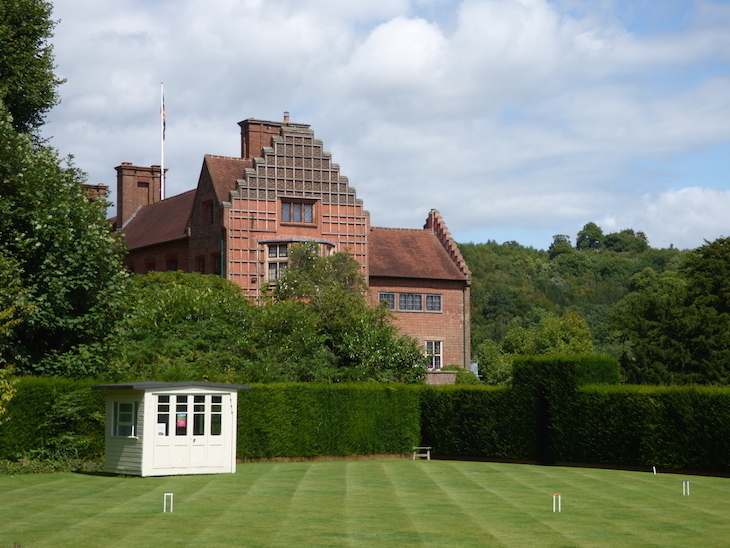 Churchill himself is reported to have said, "a day away from Chartwell is a day wasted", and we can see where he was coming from. Chartwell, Mapleton Road, Westerham, Kent, TN16 1PS. There's a car park on site if you don't fancy waiting for the bus, but it does get very busy on summer days.